If you thought buying your first pram was hard enough, it can be even trickier trying to work out which is the best double pram! You need something that not only appropriately supports a newborn baby, but also comfortable for an on the go toddler as well as having plenty of space for everything that comes with having two young children. Or maybe you have twins and are looking for a pram for two babies and after something that will adapt as your babies grow. 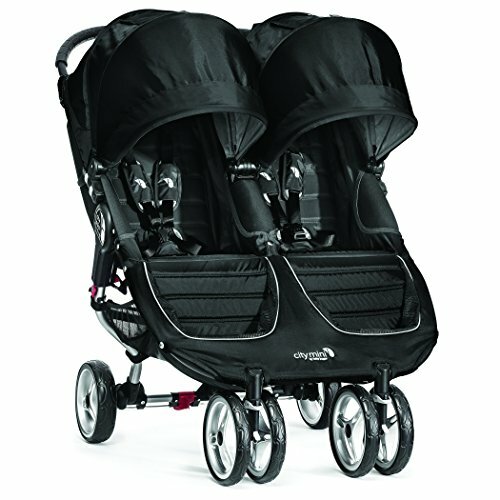 Click here to see the top double pram now! Like any baby products, what are the best twin prams for sale really depends upon your personal preference and needs. But sometimes you’re so lost and overwhelmed that you don’t even know what your preferences and needs are which is where this double prams reviews will really help you! Below, you will find everything you need to know to find the best double pram 2019 in Australia. Here’s a handy reference list – see all double pram reviews below! With so many different double baby stroller options on the market, don’t rush out and buy the first one you see. Take some time to consider the following information so you purchase the best double seat pram for you and your family. There are a variety of types of 2 seater pram options including twin baby prams (often referred to as a side by side twin pram) tandem prams and a hybrid pram. They each have their advantages and disadvantages depending upon your individual circumstances. Twin baby prams, also called a side by side double stroller, are where both children sit next to each other with seats side by side. A double tandem pram, also called an inline double stroller or even back to back double stroller is where one seat is behind the other. Sometimes the seats can be stacked up stadium style (the seat at the back being higher than the one in front), or they can be at the same level. A hybrid pram is a great invention as it is basically a single pram that you can convert into a double stroller as needed simply by adding an additional seat. These types of prams are great for first time parents as it saves them from having to purchase a second double stroller should they decide to have another baby soon after their first. We all live different lifestyles, so there’s no two seater pram that is best for everyone. So it’s important to give consideration to when you will most likely be using the double buggy. Will you be taking the pram jogging on a daily basis, walking over bumpy terrain on a regular basis or just using it on the odd occasion when you go to the local shopping centre? There is the ideal double pram stroller for every family’s lifestyle. The age of your children will significantly impact the double pram you purchase. If you’re looking for the best double stroller for infant and toddler, you are going to have to pay special attention to whether the pram is suitable for a newborn baby, as well as give consideration to weight of your older child. You then need to give consideration to overall size and weight of the pram itself. Prams can come in all shapes and sizes, from a super lightweight small double pram, to an overly bulky and heavy pram. Remember, you will be having to maneuver this pram as well as wrangle two children so go for the smaller lightweight double stroller over the bigger one if at all possible. Given the size of a double pram, it can be more difficult to maneuver then a single pram. When it comes to maneuverability, wheels determine a lot. The most important things to consider with the wheels are the size, whether they are swivel wheels or locked into place and whether or not they are ones that require air. Generally, the larger the wheels, the better equipped it is for rougher terrain. In Australia it is mandatory for prams to have a few different safety features including a warning label, a tether strap and a parking brake. Some strollers come with hand operated brakes and others are foot operated. If you have a preference for one over the other, check that the pram you decide on purchasing meets your preference. Ensure any pram you purchase meets the current Australian Safety Standards. This is a reason why it’s good to buy a new pram rather than a second hand one which may no longer meet the current safety regulations. Handles – Given it’s unlikely both parents are the same height, adjustable handles are ideal to ensure to ensure each parent can comfortably push the stroller. Travel System – A double stroller that is compatible with an infant car seat is called a travel system. These are perfect for newborns as you can easily transport your baby from the car to the stroller without disturbing them. Compact – As mentioned above, the smaller the double pram, the better. The best compact double pram is something that easily folds up and can fit in the back of your car, as well as being able to adequately get through doorways. Accessories – Accessories are there to make your life easier, but not all prams are compatible with all accessories. Some great accessories worth considering are a removable capsule, canopies with parent viewing window, rain cover, insect cover and cup holders. I have grouped these double pram reviews by type so you can scroll down to the type of stroller that will suit your family best. When looking for the best side by side pram for newborn and toddler you can’t look past the Mountain Buggy Nano Duo. This dual stroller is ultra lightweight weighing just over 9 kilograms, so it is so easy to lift in and out of the car as well as push around with two little people on board. The extra tall seat on this light double stroller as well as the adjustable leg rests allow your children to grow with it. The deep recline on both seats allows both or just one of your children to be napping at the same or separate times. If you are after a stroller that works as a travel system, the car seats that are compatible with this pram are Mountain Buggy, phil&teds, Graco, Peg Perego, Cybex, Nuna and Maxi Cosi. 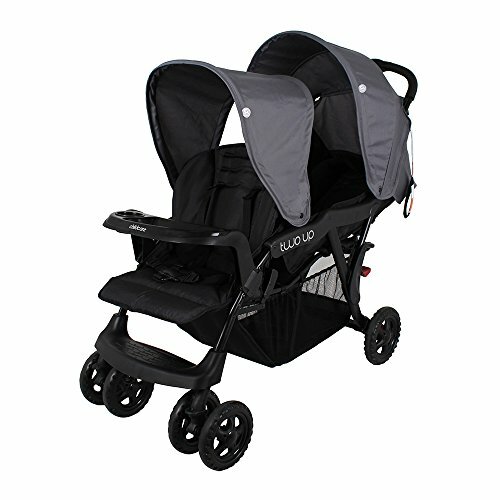 Other great features of this dual stroller are the full coverage sun canopies with flick out visors and the extra large gear tray so be sure you can fit in everything you need for being out and about with two small children. This compact double pram will easily fit in the boot along with all your other baby gear. The best news is that there are also newborn solutions for one or two with the additional cocoon accessory which is an attachable bassinet. Whether you have twins or two small children a few years apart, this is a great option for you. The City Mini double stroller is one of the most popular prams among parents looking for twin prams for newborns and toddler kids. This double stroller is a breeze to move around. Just don’t be confused by the brand name, this stroller is not suitable for jogging. This baby jogger double stroller is suitable for babies from birth right up to 22.5 kg (the combined seat maximum is 100 lbs). Each seat individually reclines to a near flat position which is perfect if you’re looking for the best double pram for baby and toddler, as baby can nap whilst your older can still be alert. You’ll love the one handed quick fold of the City Mini Double which makes folding up this stroller a breeze. It’s also a pleasure to push thanks to the lightweight front wheels which swivel and the front wheel suspension makes for a comfortable ride for the little ones. Other features include foot operated parking brake, removable machine washable seat cover, large adjustable sun canopy with peek a boo window, and large under stroller storage basket. With the use of the optional adapters, the City Mini can also be used as a travel system as it is compatible with the City GO infant car seat. Loaded with great features, if you’re looking for one of the great twin prams suitable from birth to toddler, the City Mini double is an ideal choice. Having two kids can be very expensive so it is a great idea to save money where you can. 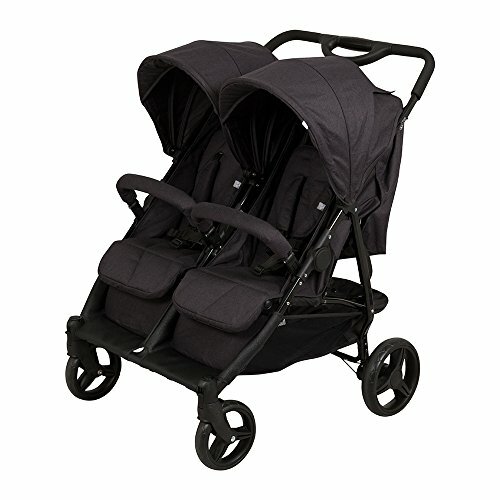 The Maclaren T-01 Twin Stroller is a fantastic option when looking for cheap double prams for sale. This double umbrella stroller is super lightweight with an aluminium frame and a SPF 50+ on the hood for great sun protection. The small double stroller has multi-position seats, which fully recline so your little ones are able to be comfortable in any position as well as being able to have a nap if needed. One seat can be in an upright position and the other can be completely reclined to suit your family’s routine. Other great features of this duo pram are the large wheels that make for easy maneuvering, generous shopping baske and they have a width that will fit through a standard doorway. This pram also has the ability to quickly fold down in seconds. The Maclaren T-01 is a good option if you are looking for a budget friendly twin umbrella stroller that is suitable for your growing family. The Valco SNAP Duo Double Stroller is definitely a good option to consider if you are in the market for the lightest double pram. Weighing only 9.8kgs, this compact twin stroller is super lightweight and easy to fold down and put in and out of the boot of the car. It is also a breeze to push around even with two kids on board. Twin baby strollers often have a lot of excess material so don’t close completely, but this pram has a clean fold making sure the inside of the pram stays protected from dirt or other things. 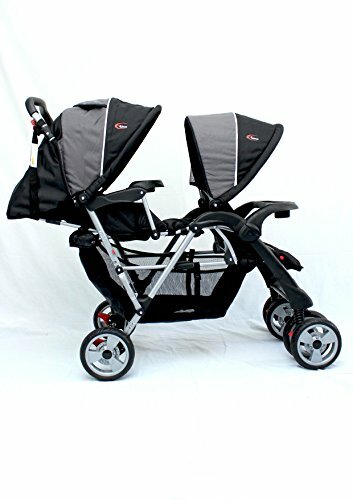 Other great features of this compact double stroller are the fully individual seat recline making it suitable for newborns, the adjustable footrest so the pram can grow with your children, extra wide seat for ultimate comfort, airflow vent panel, removable bumper bars, large storage basket, carry strap, tubeless tyres, auto fold lock, peek-a-boo window, rear storage pocket, lockable front wheels and Tilt-Loc brake. With so many great features and the option to purchase adaptors for travel systems such as Babylove, Safe-n-Sound and Maxi Cosi, this lightweight double pram really is great value for money. For the active mum and dad looking for the best double jogging stroller, the BOB Revolution Pro double stroller is a great choice. The BOB Revolution Pro Duallie 2 seat stroller is a side by side stroller which is suitable for babies from 8 weeks old up until 20 kgs. With the use of the car seat adapter and a compatible car seat the BOB double jogger stroller can also be used as a travel system and accommodate newborn babies. This twin side by side stroller also includes a superior adjustable suspension system to provide your little one with a smooth ride. Other features of this twin pram stroller include hand brake, height adjustable handlebar, easy two step fold, multi position sun canopy with large viewing window, internal seat pockets and large under stroller basket. You can also attach the optional snack tray. With this BOB double jogging stroller, not only will you have a great double jogging stroller, but you will have a super practical pram too. If you are after one of the good value tandem prams for newborn and toddler, then definitely consider the Childcare Two Up Tandem Thunder Road. This cheap double stroller is great for so many reasons and the low price is just a bonus! The lightweight steel frame and removable front wheels with lockable and swivel wheels make it super easy to navigate too. This pram may not be the best tandem stroller on the market but for such a great price it still does everything you would need it to. The seats go into multiple positions and the rear seat fully reclines in case either of your little ones need to have a nap while you are out and about. The front seat has two reclining positions and is suitable for ages over 6 months. Other great features of this stroller are the safety head barrier for newborns, the five-point safety harness, lockable rear brakes and the independent hoods with the front one being removable. If you are looking at cheap twin prams, in particular a cheap tandem pram, then this is definitely an option to consider as it ticks all the basic boxes for a tandem pram. Another good option to consider when looking at cheap twin strollers is the Mamakiddies Tandem Stroller which is also great value for money. This tandem double stroller is suitable for a newborn and an older toddler as the front seat can be used for children above the age of 6 months and the rear seat can be used from newborn age. This pram wouldn’t be suitable for a family with twin newborns. Both seats have two positions so it can be set to make the children as comfortable as possible and the rear seat fully reclines to allow for a newborn. Both children should be able to comfortably sleep in the pram if required if the older child doesn’t mind napping in a more upright position. Other great features of this stroller for baby and toddler are the large storage basket, front swivel/lockable wheels, tether strap and the adjustable handle with soft handle grip. Overall, this is a compact and lightweight option if looking for cheap double prams for newborn and toddler children. So you’re having not one, but two babies! 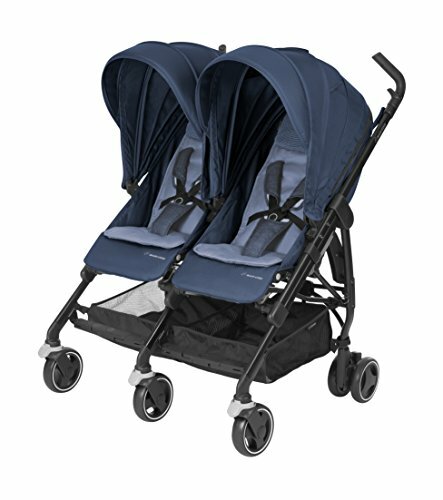 Well if you are looking for options for double prams for newborn twins, consider the Childcare Nix Twin Stroller. Safety is super important and this double stroller is no exception with a five-point harness system to keep your little ones strapped in and secure. If you’re looking at prams for two newborn babies or even a double stroller for newborn and toddler children, the Childcare Nix Twin Stroller is worth considering. 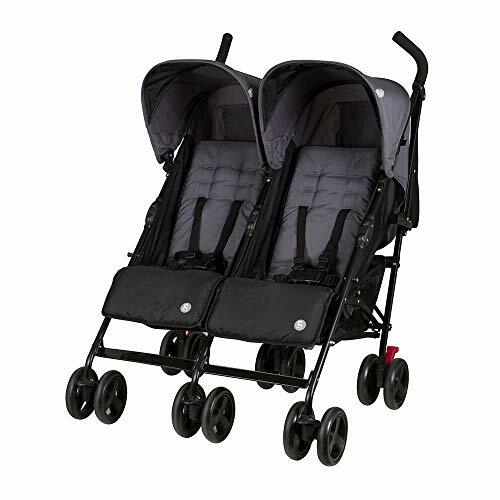 The MAXI COSI Dana Double Stroller is another great twin buggy that will grow with your family whether you may be needing a double pram for twins or just for siblings as you welcome a new baby. This double stroller for twins or a newborn and older sibling is suitable from birth to approximately 4 years of age. A really cool feature of this pram is the ability to use it as a travel system as it allows you to attach one or two Maxi-Cosi Mico or Citi baby car seat capsules to it making the transition from car to pram super smooth. These are sold separately but are a great investment and the adaptors are included in the purchase. It also has many great safety features such as the UPF 50+ canopy to protect your little ones from the harsh sun, and a five-point safety harness system with removable harness pads to keep them properly secured but also comfortable. 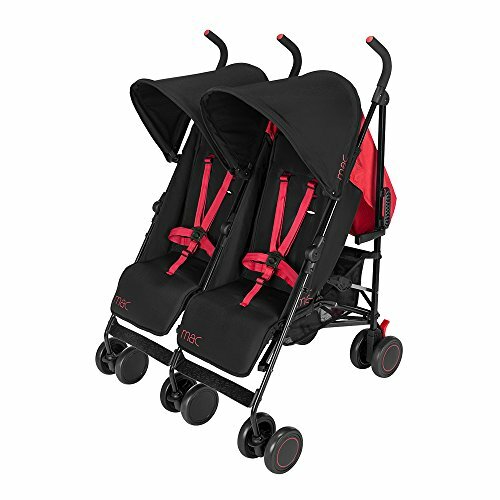 Other great features of this twin stroller are the soft padded fabric seat pads and head pillows, multiple position recline with the ability to lay completely flat, rear wheel suspension, telescopic compact fold, standing position after folding, easy braking system, rain cover and shopping basket on each side. Regardless of if you are looking for twin strollers for newborns or older siblings, this one ticks all the boxes and is a very reasonable price. The Bebecare Apari Twin Stroller is a fashionable pram to grow with your family providing style and comfort as well as safety. It has a lightweight aluminium frame that makes it super easy and smooth to push around and, as your children grow and get heavier, it doesn’t become as noticeable as the weight increases. The four position independent fully reclining seats means that while one of your children may be having a nap in the fully reclined position, the other one could be sitting completely upright and enjoying the view. Other great features of this lightweight twin stroller are the 5-point safety harness, rear storage pockets to keep your belongings safe and handy, and two large shopping baskets that have a maximum weight of 5kgs per basket making a combined storage weight limit of 10kgs! This is overall a great value lightweight double stroller for infant and toddler or even a set of newborn twins that has many great features. What’s your pick for the top double pram of 2019? Read our complete guide and product reviews of the best prams here. You can also find more product reviews here. Ultimate Guide To The Best Vacuum Cleaner 2019 In Australia!